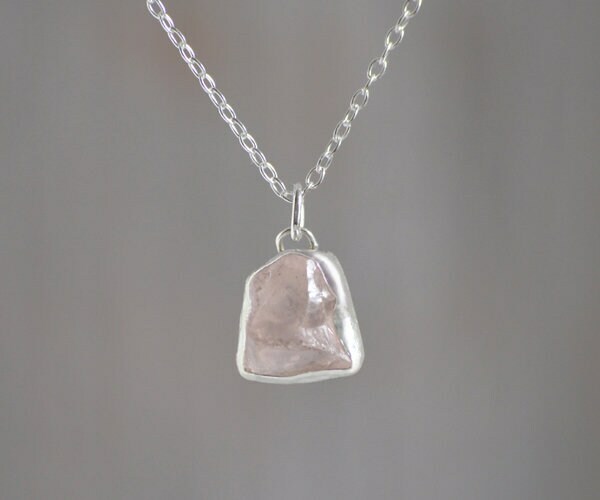 This raw rose quartz necklace is handmade at my studio in the UK and is ready to ship. 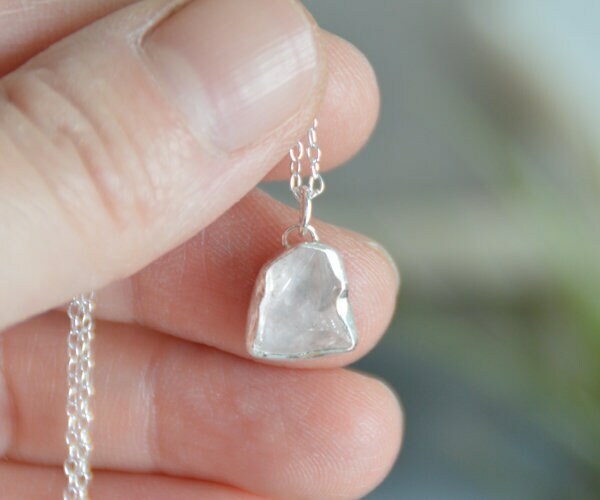 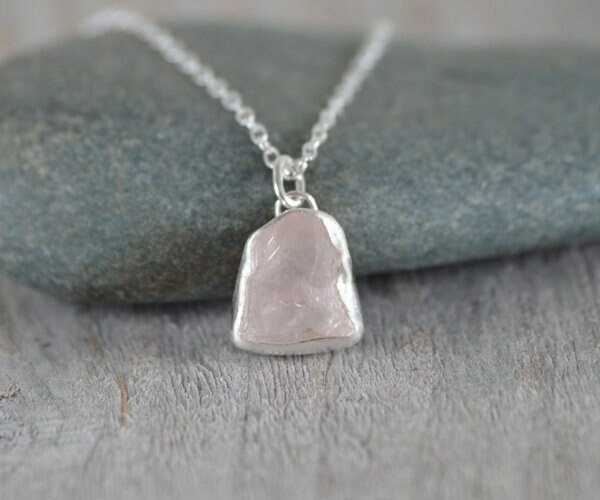 The rough rose quarts featuring on this necklace is in its natural form. 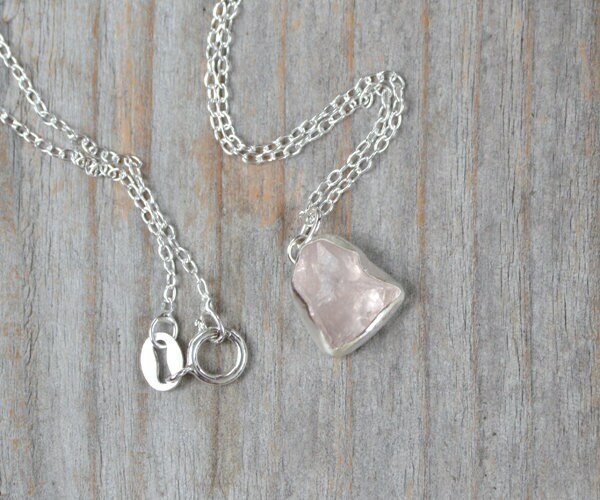 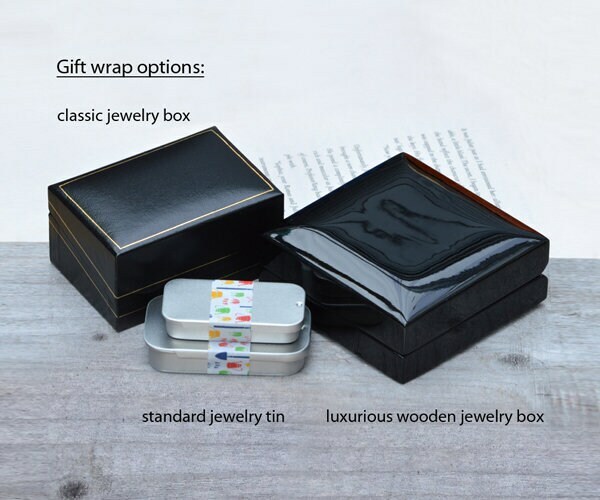 Only one necklace is available.